Sitting on a curb, I was nearly run over after taking this picture. 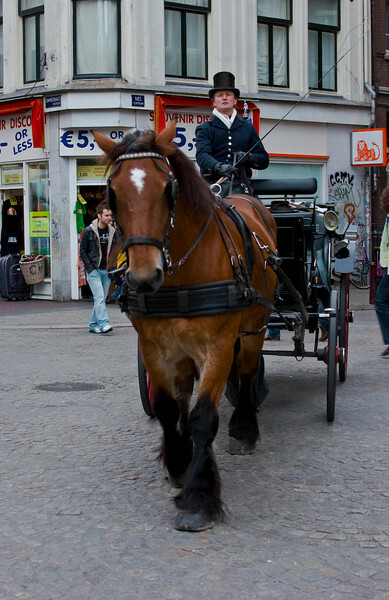 There is no such thing as pedestrian right of way when it comes to horses. This picture could not have come out perfectly....even if I tried to take this picture and have them pose.